Malaga continues to be a dreamed destination thanks to its gastronomy, the increasing technological innovation, its pleasant temperature, quality of life… But there’s another factor striking strong lately: the cultural one. Malaga has 36 museums, most of them concentrated in its historic centre. That’s why Malaga has become a true City of Museums. The variety is incredible: painting (of all periods and styles), sculpture, prehistory, traditions, wine, marine life, Easter, bullfighting, folk, etc. Our city has reinvented itself in the recent years and is now at the forefront of Europe’s culture capitals. Malaga’s network of museums creates jobs, wealth and branding. A value we must exploit as one of our main attractions. Besides of being a magnificent cultural complement to any incentive trip, most of the museums in Malaga offer their wonderful spaces for events: from the courtyards of the Thyssen Museum and the Palace of Buenavista (Museum Picasso) to the modern rooms of the Pompidou and the Russian Collection, gardens, roof top terraces, etc. The headquarters of the great museums can adapt to the needs of each corporate event, giving them an aura of originality, sophistication and exclusivity difficult to reach in another venue. Picasso Malaga Museum: you can’t skip the chance of admiring part of Picasso’s work in the city in which he was born. Exhibition rooms run through different themes of the artistic legacy of the famous painter and there are always interesting and high quality exhibitions. The ‘Palacio de Buenavista’ is a beautiful building from the 16th century offering various rooms, a magnificent courtyard with columns and a charming garden. Carmen Thyssen Museum: visiting this museum is like making a journey through the history of 19th century Spanish painting from romanticism to realism, with special attention to Andalusian painting. 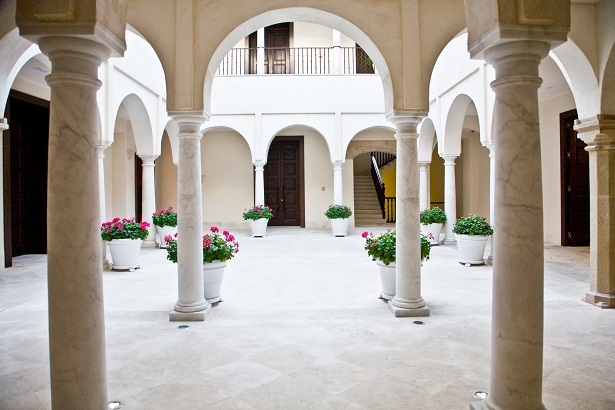 The museum, located in the Centre of Malaga, has an auditorium, a magnificent courtyard of columns and a roof top terrace. Russian Museum Collection: located in the historic ‘Tobacco Factory’ building, with gardens that are a great venue itself, this museum tells the history of Russian art and its changing relationship with European culture. It offers an open terrace, several halls, workshop rooms, an auditorium and even a projection room. The cafeteria also provides catering service. 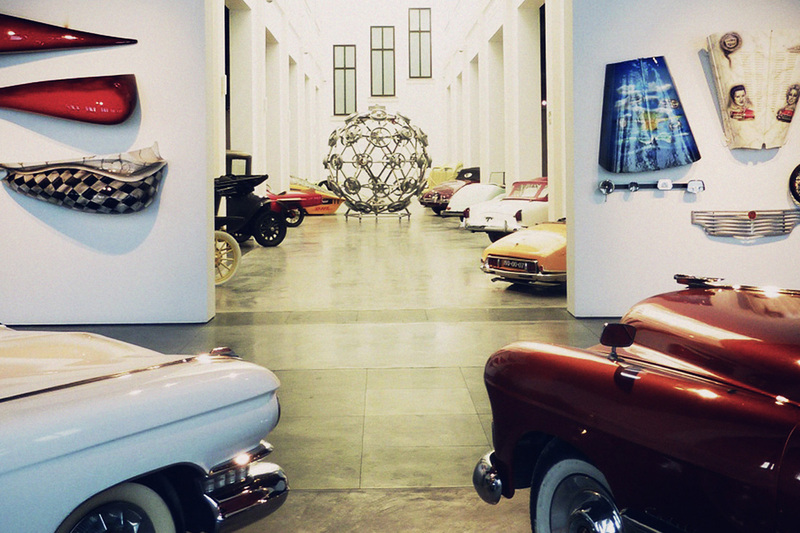 The Automobile Museum: also located in the old ‘Tobacco Factory’, the Automobile Museum proposes a full walk through the history of the automobile and ‘haute couture’ fashion, with period and exclusive pieces. Its high ceiling halls with big columns are perfect to celebrate all kind of events or meetings surrounded by Buggatis, Ferraris, Rolls Royce and Bentley cars. It is one of the largest museums with capacity for events of 3.000 people. Centre Pompidou Malaga: multicolor cube-shaped, the Pompidou Centre is an original museum representing the art of the 20th and 21st centuries with nearly 90 art works. in addition to its avant-garde temporary exhibitions. 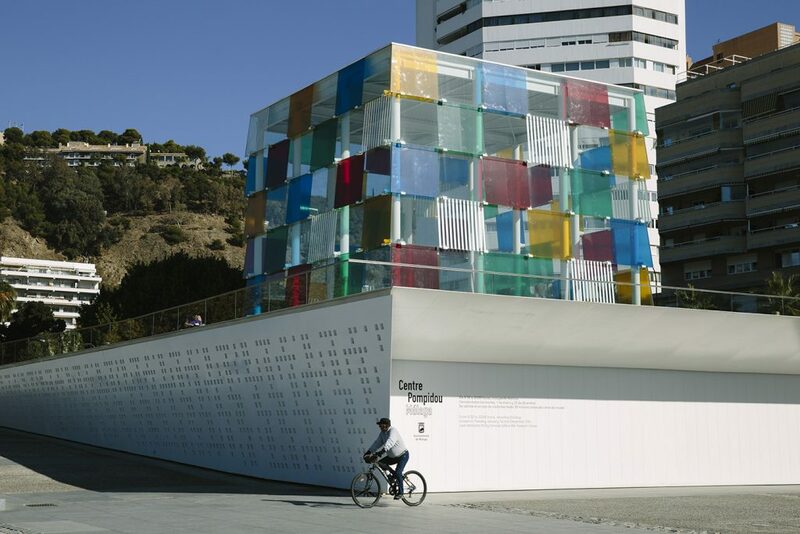 The external cube, made of steel and coloured glass, gives it a contemporary touch. It has a spacious Auditorium and a bright lobby available for events.